Afterwards we were off to attend meetings at the NCsoft home office. 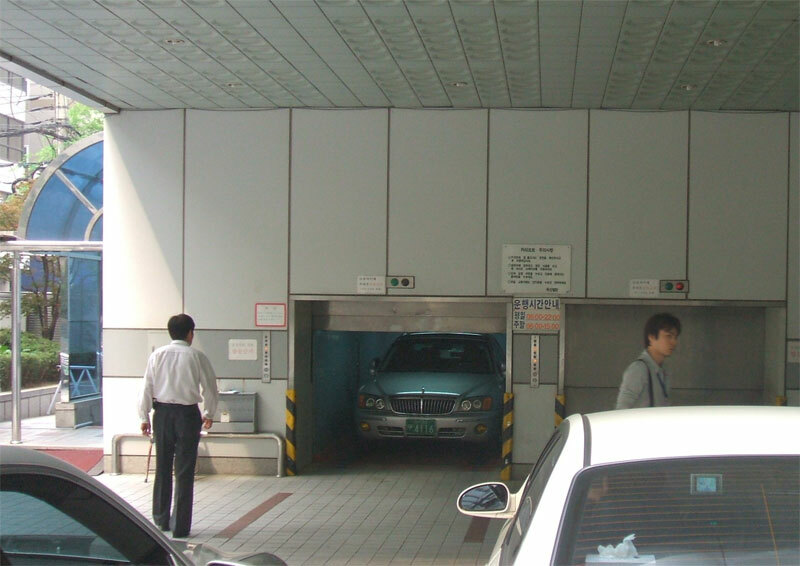 Interestingly, since Seoul is so short on space, the NCsoft garage uses an elevator instead of ramps. 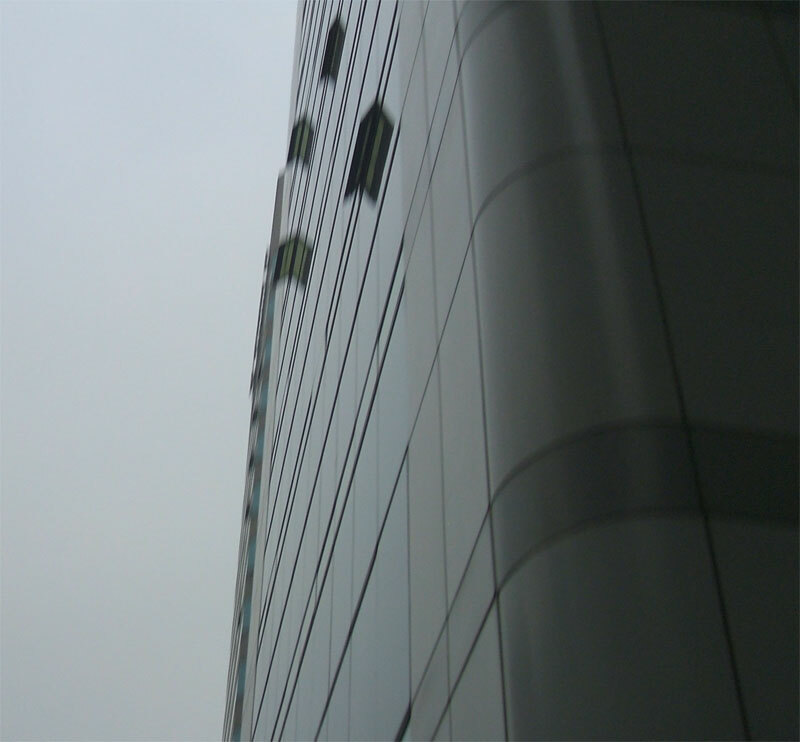 While waiting for our host to park I asked someone how many floors of this building NCsoft took. He told me, sounding somewhat abashed, that NCsoft took up 3 buildings, but only took up a few floors on this one. 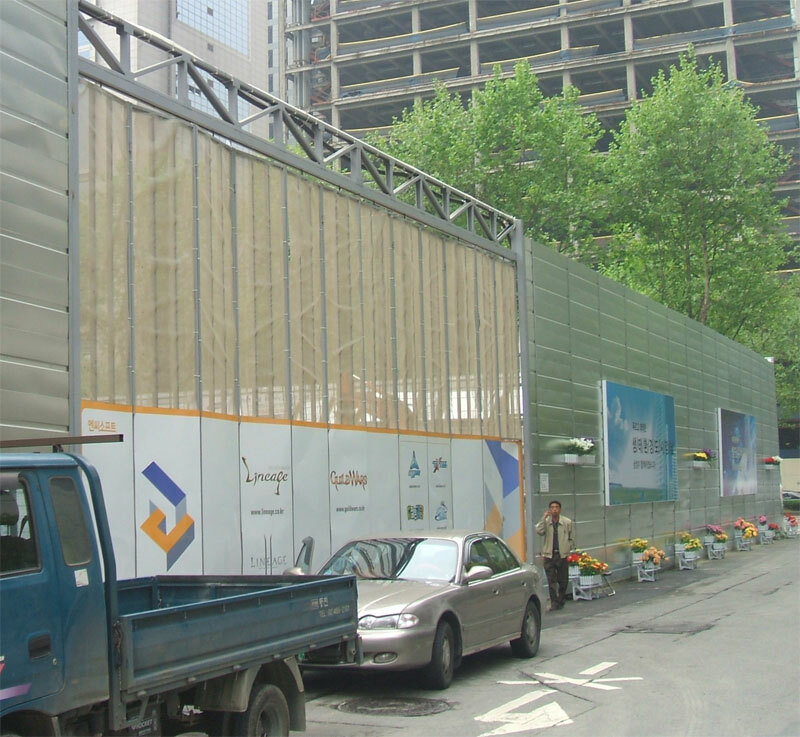 Ads for NCSoft games on a building under construction next door. 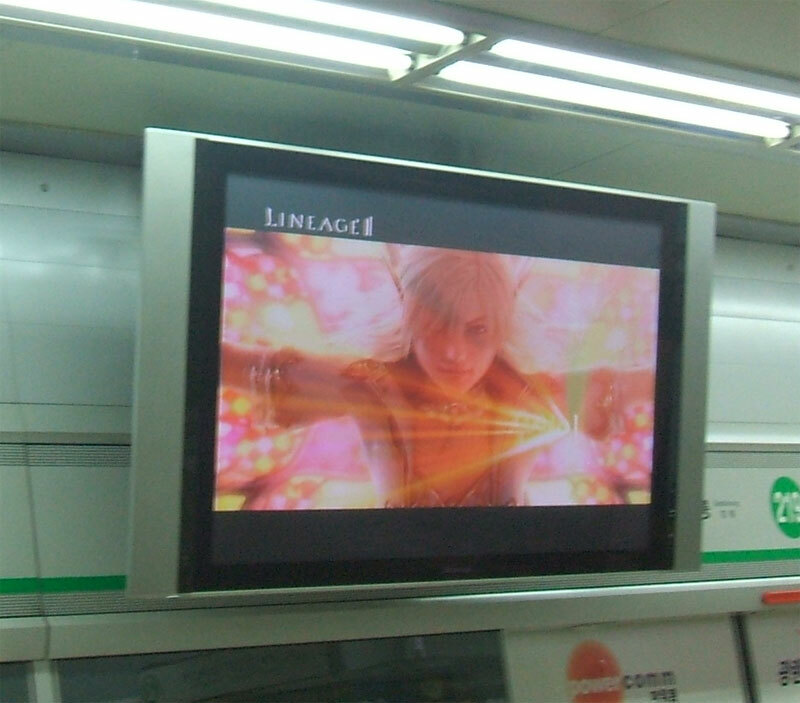 NCsoft was literally almost everywhere I looked in Korea. The “Korea Times”, one of Seoul’s two English-language papers, had an editorial by someone at NCsoft explaining why bots were bad in online games; it seems that earlier NCsoft had won a court decision against manufacturers of botting programs and it was covered unfavorably by the local media. 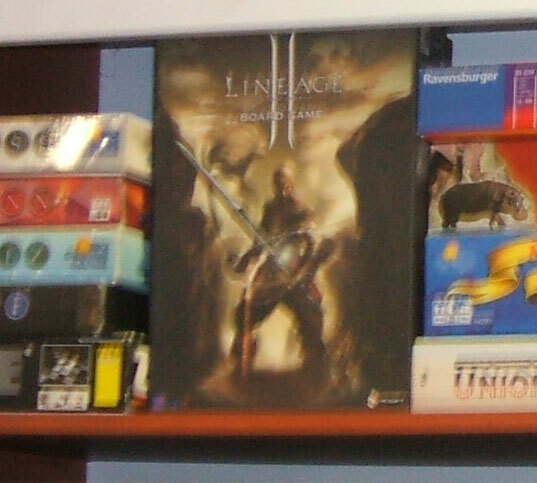 In a mall I found a small boardgame shop that had this Lineage 2 boardgame. 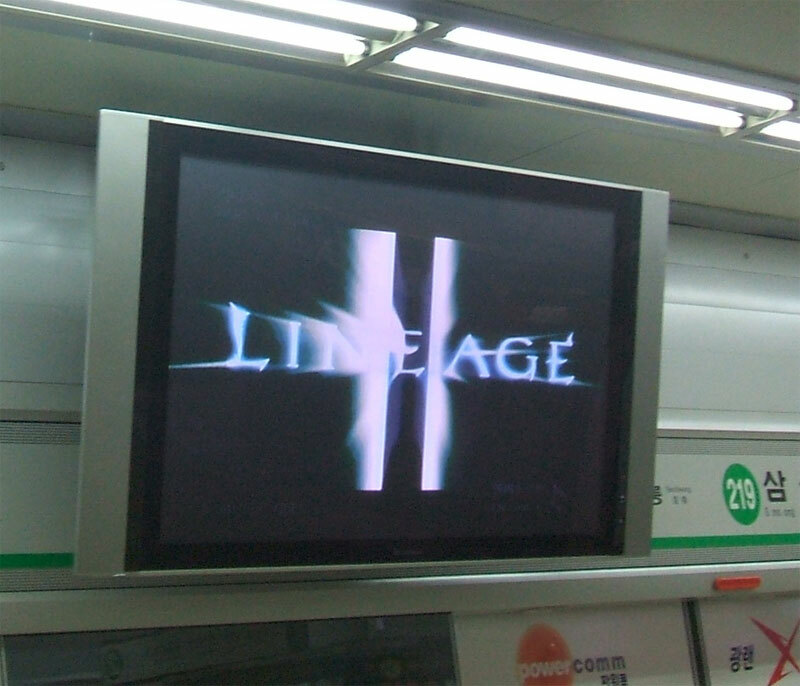 Even more freakily, while waiting for a subway I saw this TV ad for Lineage 2.